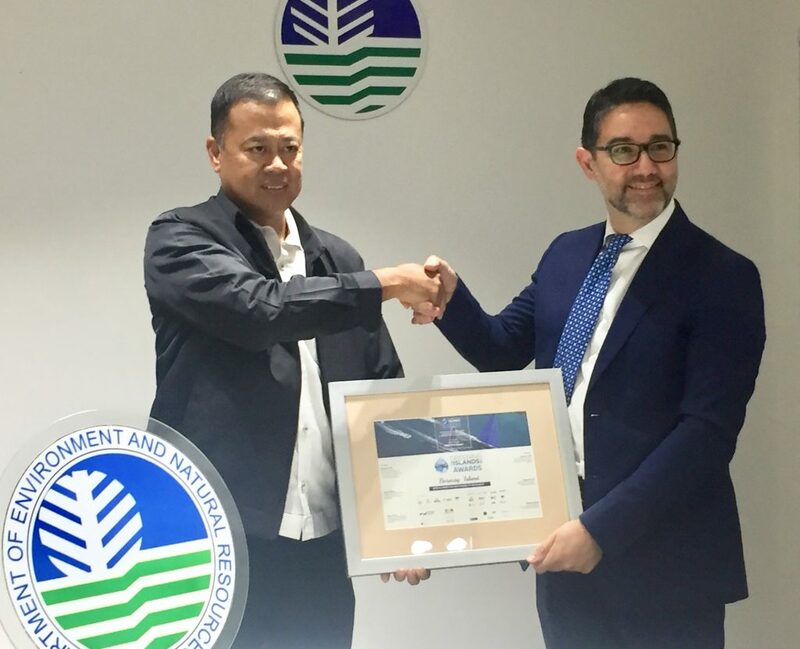 Manila 29 May 2018 – Greening the Islands has delivered a special award to the famous Philippine island of Boracay for its commitment to sustainability on islands with a presentation by Greening the Islands Director Gianni Chianetta to the Undersecretary (Deputy Minister) for Policy, Planning and International Affairs, Atty. Jonas R. Leones, of the Department of Environment and Natural Resources. The award was assigned in occasion of the 5th edition of the Greening the Islands International Conference, by the Greening the Islands Awards jury composed of: Georges Kremlis, Honorary Director – Directorate General for the Environment, European Commission – Active Senior responsible for circular economy in the islands, Helmut Morsi, Adviser to the Director and Coordinator for Innovation – European Commission DG MOVE-B, Emanuele Taibi, Islands Energy Transition Analyst, The International Renewable Energy Agency (IRENA), Michela Miletto, UN WWAP Deputy Coordinator, UNESCO, Konstantina Toli, Senior Programme Officer of Global Water Partnership – Mediterranean, Philippe Vangeel, Secretary General of The European Association for Electromobility – AVERE, for the exemplar decision of the Government to close Boracay to tourists for six months to do an environmental assessment on the islands and develop a plan to recover from sustained environmental damage. The Island each year serves 2 million tourists and the national government decided to clean up the area and make sure Boracay returns to a level of human impact in line with its natural capacity. 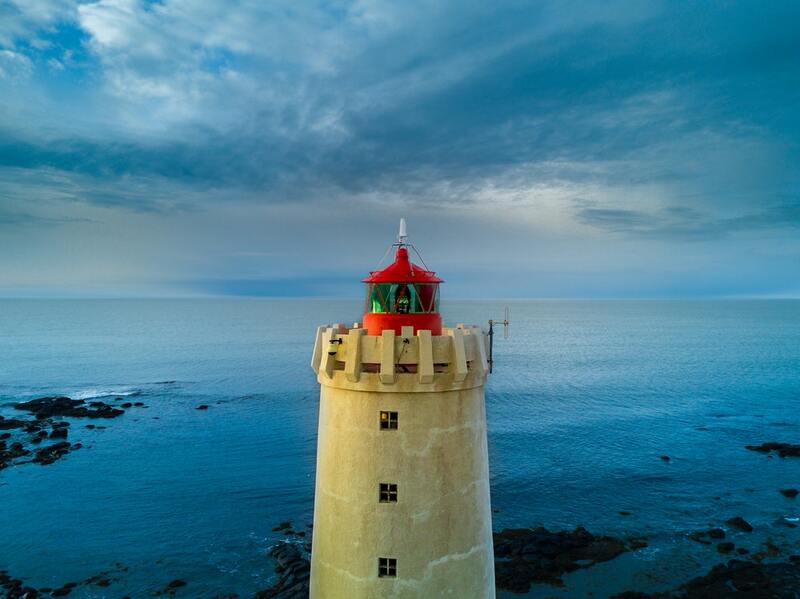 The government has declared the island a “critical area” and started to remove constructions that have been built in fragile areas or that have a significant impact on the ecological system. The delivery of this important award directly in Boracay sends an important message to the local population, to companies and establishments in Boracay that in the past months have criticized this decision and not appreciating the benefits this will bring to the citizens’ lives and the tourism industry. Greening the Islands Awards Jury took this decision to deliver such a significant Awards to the Government of Philippines for his decision about Boracay. 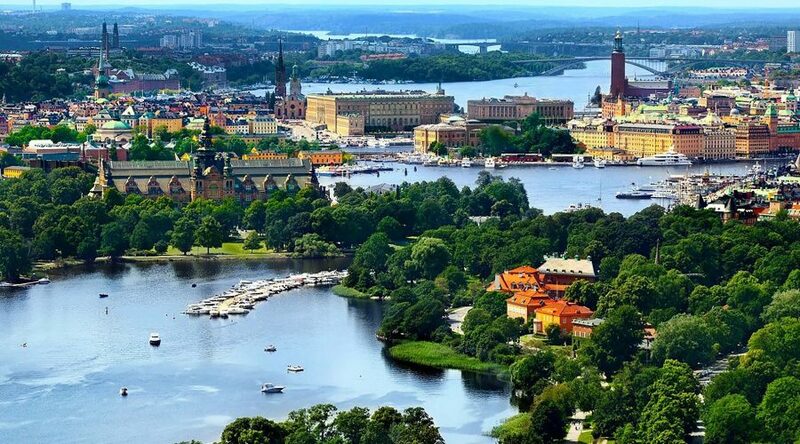 Other governments should take similar exemplar actions to protect the environment and curb climate change. Greening the Islands International Conference – Asia Pacific will be held right in Boracay in February 2018 and thanks to the cooperation with the Department of Environment and Natural Resources and other key stakeholders, a roadmap for a sustainability plan on Boracay within the umbrella of our Greening the Islands Observatory will be drafted and presented in occasion of the event. The international conference – now in its 5thyear – always involves the government of the host country and this year was organised in collaboration with the Regional Government of the Balearics, the Government of Minorca, the Minorca Biosphere Reserve and the association of the Spanish photovoltaic industry (UNEF) with the scientific support of The Green Consulting Group and Canary Islands’ Technology Institute (ITC). 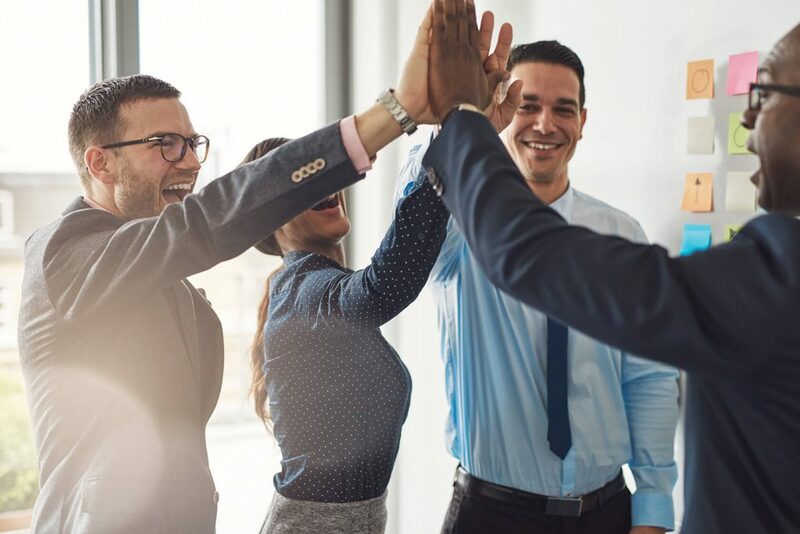 The event brings together a consolidated and rapidly growing network of experts from government, institutions and business in an exchange about the most innovative solutions and technologies as well as government policies. 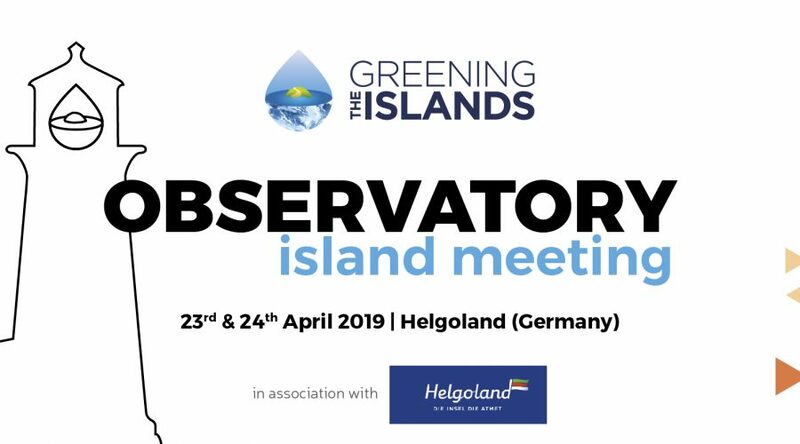 After 8 events if Europe, Greening the Islands is planning to start series of international conference also in Asia-Pacific and Carribbean regions. 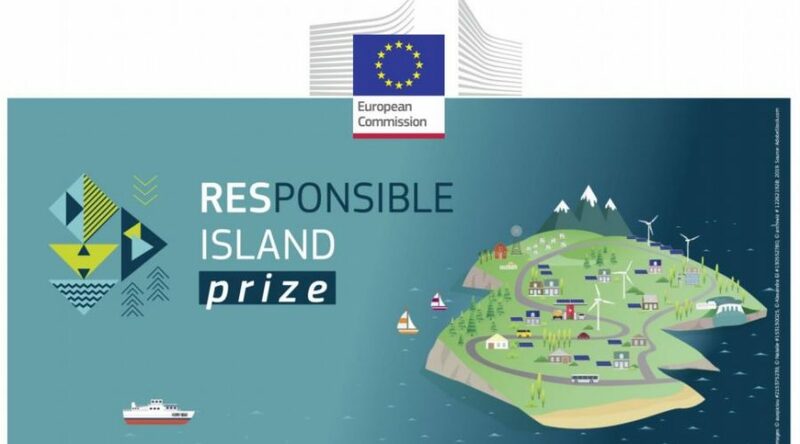 Since 2015, in occasion of the international conferences, the Greening the Islands Awards recognise the most innovative and sustainable solutions on Energy, Water and Mobility, as voted by a prestigious jury – currently comprising institutions such as European Commission, International Renewables Energy Agency (IRENA), World Water Programme UNESCO, Global Water Partnership, the World and European electric vehicle associations (WEVA and AVERE) as well as members of the Greening the Islands online community.